There are hundreds of families in Sioux Falls today who are struggling with utility disconnection. With colder weather and faster disconnections, more and more people are turning to The Community Outreach for assistance. Read below a fictional story of one such family. Marie was just getting home. Another late night working her second shift at the hotel. Her kids running around the house, tugging at mom’s legs for attention. They’ve been at grandma’s house all day. Daycare is expensive. She gets ready to make supper and cleans off the table. Bills stacked in the corner as she sees the one marked ‘FINAL NOTICE’. It’s the heat bill this time. Her paycheck is another week away, and that’s supposed to pay rent and buy groceries. She thinks about picking up another overnight shift. It’ll be her third extra shift this week. Marie is out of hope. Every day this winter hundreds of working poor people in our community are facing utility disconnection. The Community Outreach offers a program to help folks just like Marie, but we need your help to provide her hope. This fundraising campaign is geared toward “Keeping the heat on” for local Sioux Falls families and individuals. These are neighbors, friends, and family. Can you help people like Marie staff safe and warm this winter? 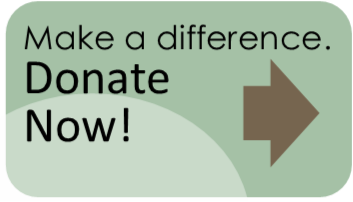 Donate today to help us meet the nearly $8000 goal! It’s good to know that there are organizations that support or promote fundraising activities and programs to help our fellow citizens with whatever they are going through. I hope there would be more fundraising campaigns as well as volunteers that would help in making these programs successful. If I were given the opportunity to become part of such a community outreach program, I would definitely consider volunteering for one. Thanks.